Neighborhood tasting season is upon us! The 6th annual Taste of North Park returns for an afternoon of indulgence in one of San Diego's premier dining neighborhoods on Saturday, October 11, from 11am-3pm. Walk along the streets of San Diego’s hippest 'hood while you sample food from North Park’s famous eateries, sip craft brews from San Diego’s best breweries and shop at a wide variety of boutiques and galleries. For one ticket price, participants will enjoy over 40 restaurants and 12 specialty brews. Each restaurant location will offer bite size tastes of house favorites while the galleries and boutiques offer a chance to shop while sipping award winning micro-brews. We have 2 tickets to give away to one of our readers - keep reading and be sure to enter our raffle! 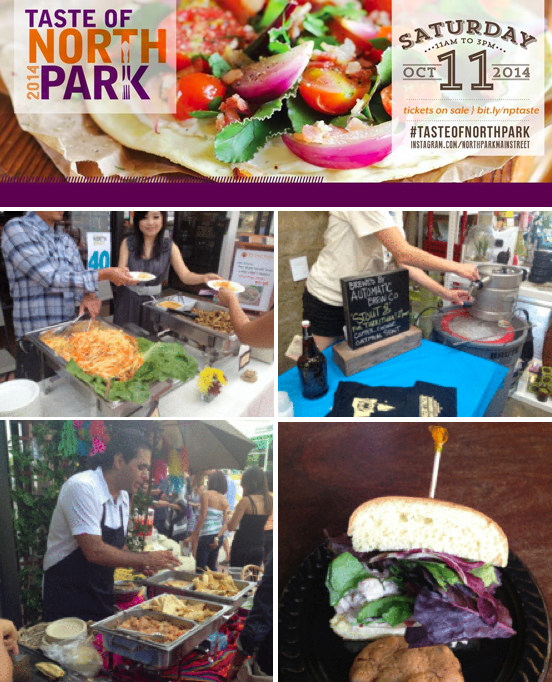 Taste of North Park is a self-guided walking tour where attendees pick and choose tastes of well-known chef specialties, as well as vegetarian and farm-to-table creations served up by the finest local restaurants. In addition to satisfying your appetite, visit the participating galleries and boutiques along the way and shop around as you quench your thirst with an array of microbrews. If you need a break, hop on the trolley and make your way to San Diego’s first parklet in front of Caffe Calabria while you sample some of their delicious roasted coffee. The Taste of North Park offers participants an opportunity to taste from popular restaurants like Tacos Perla and Ritual Tavern, while also taking in the eclectic boutiques like Aloha Sunday and Pigment, where San Diego craft brewers will be serving up 4oz samples. For one afternoon this delightful event gives foodie fanatics and beer enthusiasts the perfect opportunity to find that new dinner spot or favorite new brunch hangout. Taste of North Park is also excited to announce the first ever Craft Cocktail Competition in conjunction with this year’s festivities. A friendly competition amongst neighborhood craft cocktail connoisseurs, favorite North Park watering holes will design a unique version of the “Official North Park Cocktail,” with submissions to be judged by the community as well as a panel of experts. The participating local mixologists will showcase their creations on October 3 at the free kickoff Movie Night and Beer Garden behind North Park Theatre (with a free screening of the movie, Chef). These specialty cocktails will be available for purchase at their respective bars from September 18 to October 10, and people can vote for their favorite on Facebook to decide who poured it best! The winning libation will be announced to at the start of Taste of North Park. 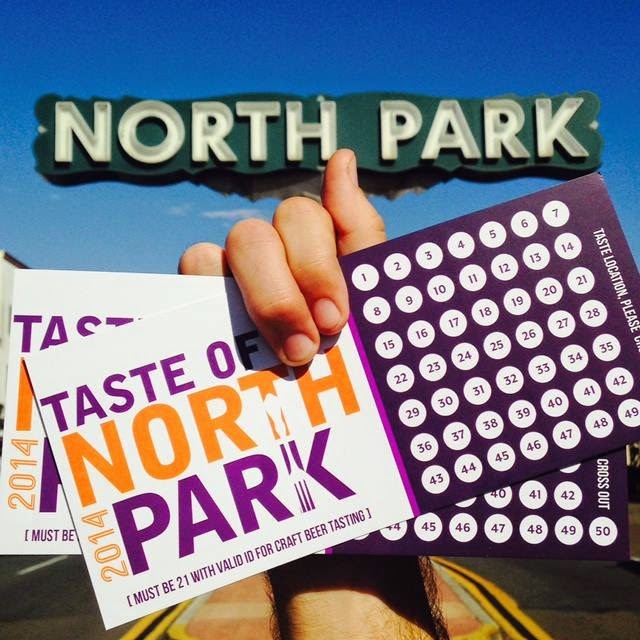 Tickets to the Taste of North Park are $35 in advance and $40 on the day of the event. For more information, a full list of participants and to purchase tickets, visit tastenorthpark.com.